Among the many Australian mathematics organisations that are making matters worse rather than better, the Australian Mathematics Trust must not be included. AMT is great, a rare beacon of hope. A beacon somewhat dimmed, it is true, by the fact that the AMT guys have an average age of about 95. Still, any beacon in a storm, or whatever. 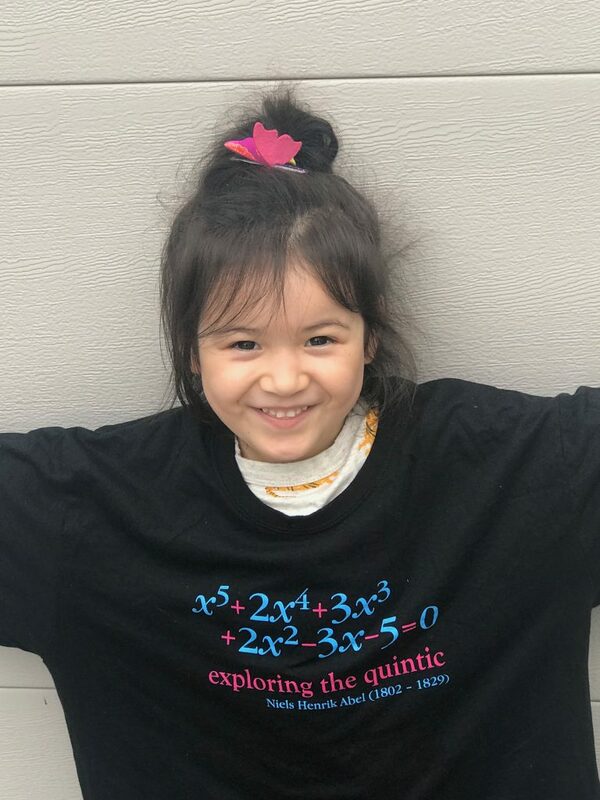 This shirt celebrates Norwegian mathematician Niels Henrik Abel and his 1824 proof of the non-existence of a solution in radicals of the general quintic equation. That is, in contrast to the quadratic formula, and to the cubic and the quartic analogues, there does not exist a quintic formula. It’s a pretty shirt. This T Shirt features Abel’s proof that polynomials of order five or higher cannot be solved algebraically. Stylewise, it is probably a good thing that Abel’s “proof” doesn’t actually appear on the shirt. What is not so good is the sloppy statement of what Abel supposedly proved. is easily shown to have the solutions . Which brings us back to AMT’s t-shirt. Why on Earth would one choose to illustrate the general unsolvability of the quintic with a specific equation that is solvable, and very obviously so? Even good guys can screw up, of course. It’s preferable, however, not to emblazon one’s screw-up on a t-shirt.